The 35-year-old New Hampshire resident and two acquaintances were arrested early yesterday after allegedly robbing a woman in Franklin, a city 40 miles north of Manchester. Charged with a variety of felony counts, the trio was placed in a holding cell at the Franklin police station, where the temperature was not to Natal’s liking. 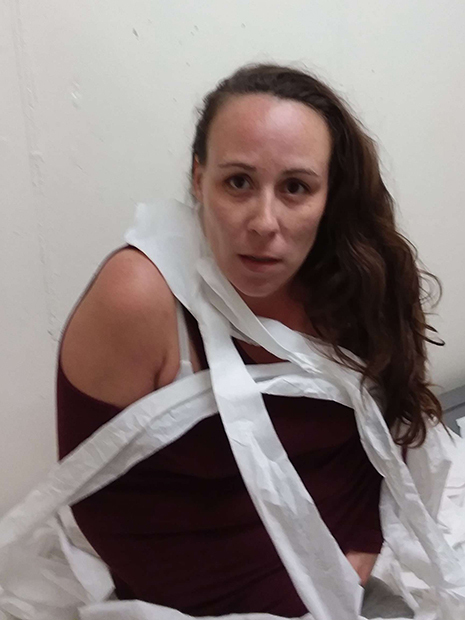 As seen in the above mug shot, Natal wrapped herself in toilet paper after complaining that the lockup was too chilly. 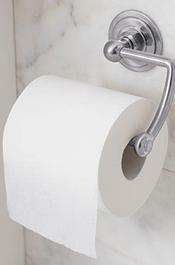 She was draped in TP when cops snapped her booking photo. Natal and her codefendants were arraigned yesterday afternoon in Superior Court, where a judge ordered her held in lieu of $25,000 cash bond.